Ski at lower intensity / speed – enough to keep muscles working and warm, but not fast enough to induce exertion and higher respiration rates. Take frequent warm-up breaks; keep up your liquid and caloric intake. Avoid areas with open wind exposure; many of our trails have good protection from the wind but there are some trails and areas that are more open. Respect the wind chill factor, remembering that your ski speed contributes to this; ski up the big hills instead of down. On March 3, 2019, we are pleased to once again host the Beat the Blues Boogie event, in partnership with Fast Trax Run & Ski Shop. The aim of the Beat the Blues Boogie is to provide Nordic skiers a low-key competitive opportunity as the season winds down. The tradition continues with this year’s edition of the "Beat the Blues Boogie", raising funds to beat cancer in the name of Roger Tetrault. This year we will be doing something for our dear ski friend Julie Witten-Land, who has been diagnosed with Stage 4 Breast Cancer. Presently Julie is undergoing chemotherapy and additionally applying alternative medicine and treatments to cure this disease. Instead of donating all entry fees to the Alberta Cancer Foundation, we will be donating the proceeds from the event to Julie, dedicating these funds for her cancer treatments. This is a fun race to keep up the spirit of the season; the event is free technique, with a classic track for the sit skis and little striders, and distances from 2 - 30km. 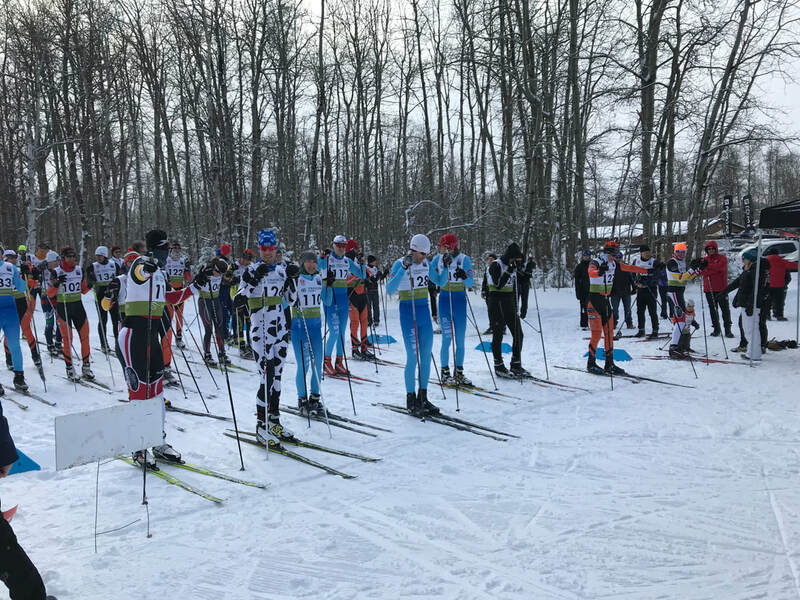 **New this Year**: Pursuit Challenge 10km skate event, in partnership with the Vermillion Nordic Ski Club Becki Scott Loppet on Saturday, March 2; 10km classic category. Start times for the 10 km skate Pursuit category will be determined by finish times from the 10 km classic event. Race registration is open now at Zone4.ca; click here to register.